The wind has backed off to a whisper with only a slight on shore breeze. Lets call it just above still and that slightest of breezes continues to make it a bit more comfortable offshore. Plenty of seaweed offshore and on the reefs as well with moderate current. Our South Florida skies remain for the most part to be mostly sunny. 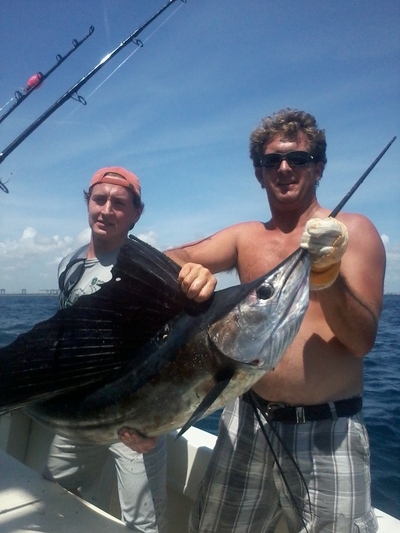 Ft. Lauderdale fishing continues to be as expected with near shore catches of Kings and some Wahoo within 200 feet of depth. Good chance of decent Blackfin Tuna at the reef’s edge and just deeper. Tunas further offshore will typically run much smaller. Dolphin fishing is erratic with many fish continuing to be small. Amberjacks continue to be present on the wrecks and there are some fat ones. And we continue to see some Sailfish once again just off the edge.